With over a decade of bringing life to the true meaning of Holy Week through the “Walkway: Reflections on the Stations of the Cross” exhibit, Bonifacio High Street together with Church Simplified once again rolls it out from April 14-21, 2019 with this year’s theme focusing on how Jesus lived during the Roman rule. Moving away from the traditional depictions of the Passion of Christ, the Walkway uses contemporary art to give meaning to each immersive station that features literal structures and symbols which tells the story of Jesus’ life. Cap off the Holy Week with Easter Sunday festivities on April 21, 2019, 3PM, at the Bonifacio High Street Activity Center, with a Hawaiian-themed Tiki Easter Adventure for the kids to enjoy, and the Walkway Concert that asks people “what is your resurrection story”? The free music festival will be featuring local acts Unique, Urbandub, South Border, Barbie Almalbis, and Aia de Leon. 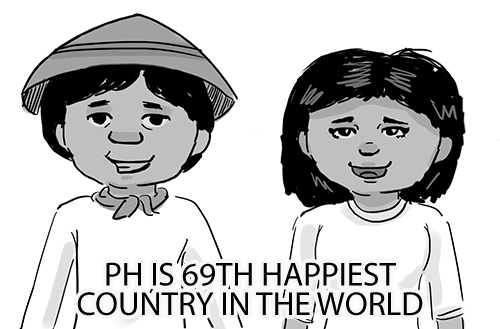 “BGC has always been a destination for those staying in the metro. For over a decade, the Walkway is a respite that lets everyone reflect within the confines of the city, and has transformed many relationships and lives,” said Joanne Magno, Associate City Marketing Manager of Fort Bonifacio Development Corporation (FBDC). This Holy Week, all roads lead to BGC, where Lent is a celebration of life and love. 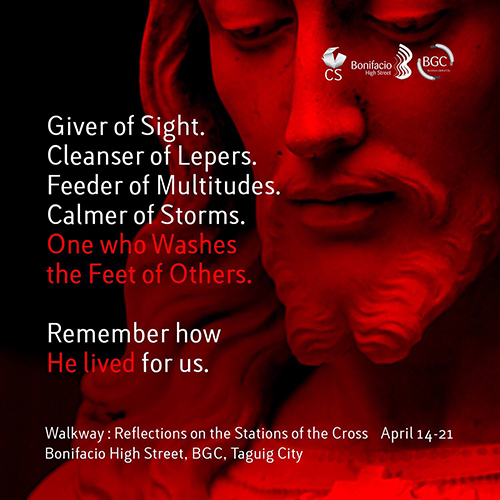 Visit “Walkway: Reflections on the Stations of the Cross”, an interactive exhibit open to all, over at the Bonifacio High Street (BHS) strip in Bonifacio Global City, Taguig City, this Lenten season from April 14-21, 2019. This entry was posted in Event, Outdoor activities, Press release, Recollection and tagged Holy Week, Holy Week activities at BGC, Reflect on Jesus on April 8, 2019 by Mommy Yam. Appliances may last for many years, but if the ones in your home are old and outdated, it might be time for a change. Updating before they stop working can help you to make a better choice than waiting. When a major appliance goes out, you want a replacement quickly. Therefore, you might not choose exactly what you want. Here are a few other reasons you may decide to replace your appliances. Many times when people purchase a home, the former owners leave the appliances. While they may have been happy with them, you might want something different. Do you need a double oven or would you like the appliances to match? Is the refrigerator too small for your family? Do you prefer a flat top stove? New England Appliance and More Inc. is one choice when you are looking for a new stove massachusetts. 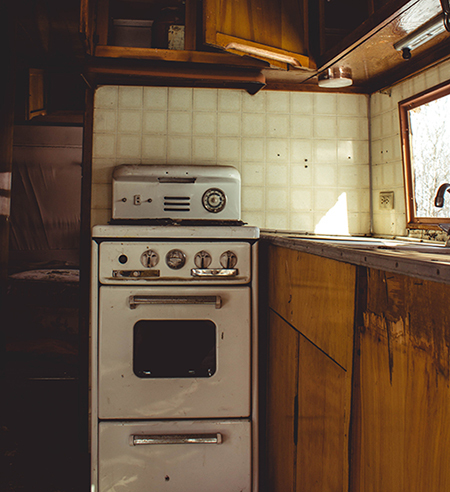 When you remodel your kitchen, the old appliances can look even older. Maybe you changed the kitchen layout and have space for larger appliances. Most homeowners choose to update the appliances when they remodel. It completes the look of a new kitchen. There are a variety of kitchen appliances available today that are more energy-efficient than the older models. They can make quite a difference on energy costs. Newer washers use less water than older models. The same is true for dishwashers. The ones made several years ago use more water per cycle than newer ones. Dryers with moisture sensors can be another way to save. They automatically turn off when the clothes are dry, which saves energy. This also prevents the dryer from running longer than necessary. This is hard on your clothing. Maybe when you purchased your appliances, you were on a very strict budget and could only afford the basic models. Now you are able to spend more and want better appliances with extra features. People buy new appliances for a number of reasons, but convenience and a better look are the most common incentives. This entry was posted in House and home, Saving tips, Shopping and tagged kitchen appliance, kitchen improvement, kitchenware on February 11, 2019 by Mommy Yam.